What could be better than an early Valentine's Day gift? How about an early Block of the Month! 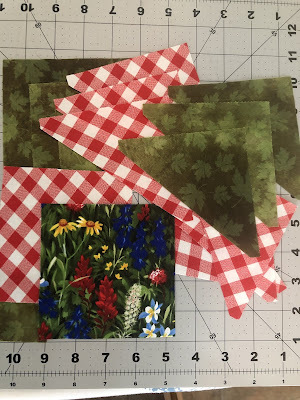 I hope you are as excited about this new adventure as I am and are making your quilt blocks. Please tag us to let us see them! Use these hashtags when you do: #mcclblockofthemonth #MyCharmedCabinLifeBOM. Let's have some fun! Ready? Who doesn't like flowers for Valentines? This block will allow us to continue chain piecing and matching points, as well as playing with our fabrics. You don't need a lot of fabric for this block at all. 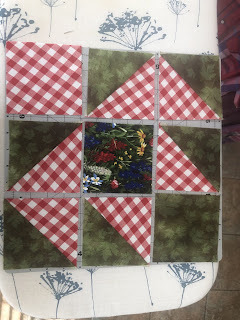 Scraps can be used from your stash to finish this block. This month we will be matching half square triangles together to form a square. 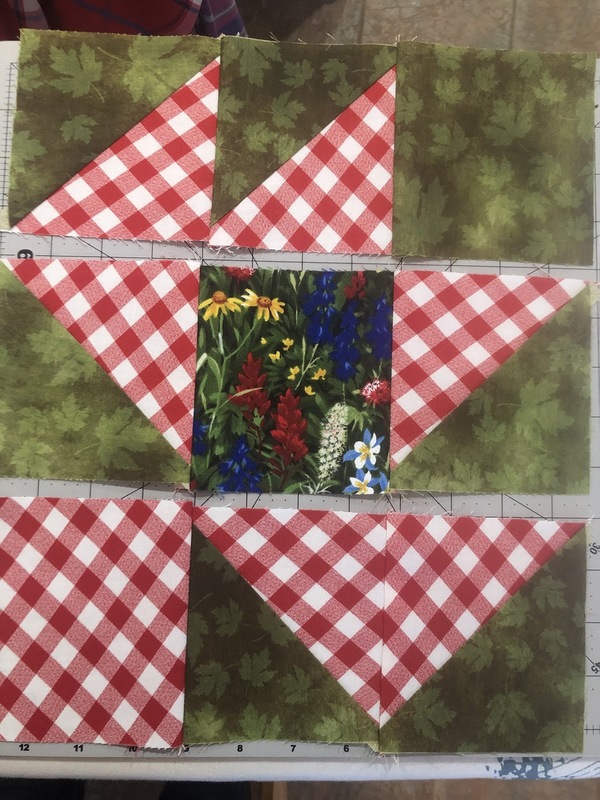 If you have an AccuQuilt fabric cutter, the dies I will be using are #1 (4.5" square) & #3 (4"finished square from two triangles) from the 8" Block Cube Set. If you don't have one...but are interested in checking them out, they have a deal going right now and you can register your email address for a chance to win a fabric cutter and supplies worth $1,000! They also have a $50 rebate going on. I took advantage of this rebate myself last month and it seems that they have extended it to the end of the month, January. But sign up to see their monthly deals. You may find another deal that you can't live without! AccuQuilt Current Deals! (Affiliate link) Check out this link to see the latest deals with AccuQuilt! If you still aren't sure, I've used their online chat to figure out exactly which dies I needed to make the blocks I wanted to make...which is going to help me make the quilts I want to make this year. I was hesitant myself...but I made the purchase of the GO! Ultimate Fabric Cutting System that came with the 2.5" strip cutter, 8" Block Cube of dies, and the mats needed to start cutting right away. I got home and opened the box...and haven't looked back. Cutting is not my strong-suit by any means...and this has made quite a difference! 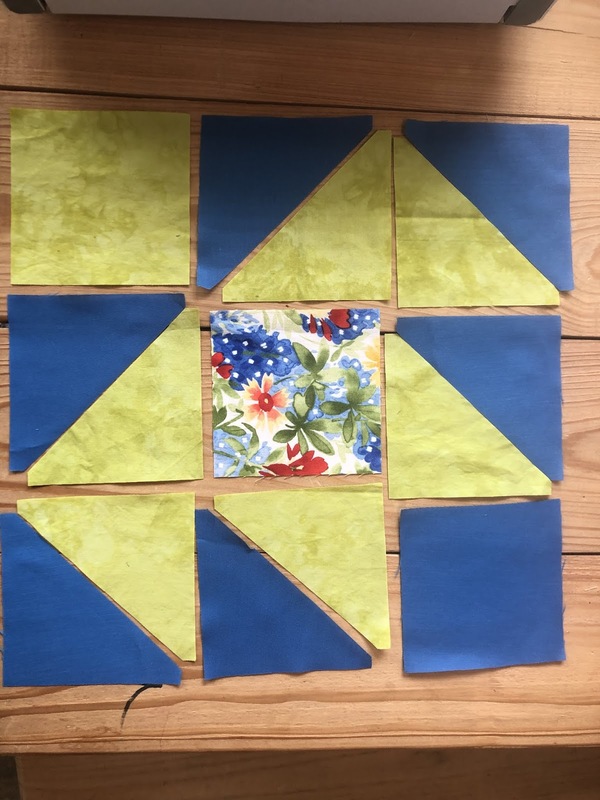 You will have 6 half square triangles in two different colors (12 total) and 3 squares in each color, as you see below. What size? Well, remember I'm going for a 12 inch finished block for each month, so this will be around 12.25" when you piece it all together. Once I cut the fabric using the dies...I simply laid out the pattern as below. I love how the dies cut the dog ears off and thus marks your sewing lines for you. 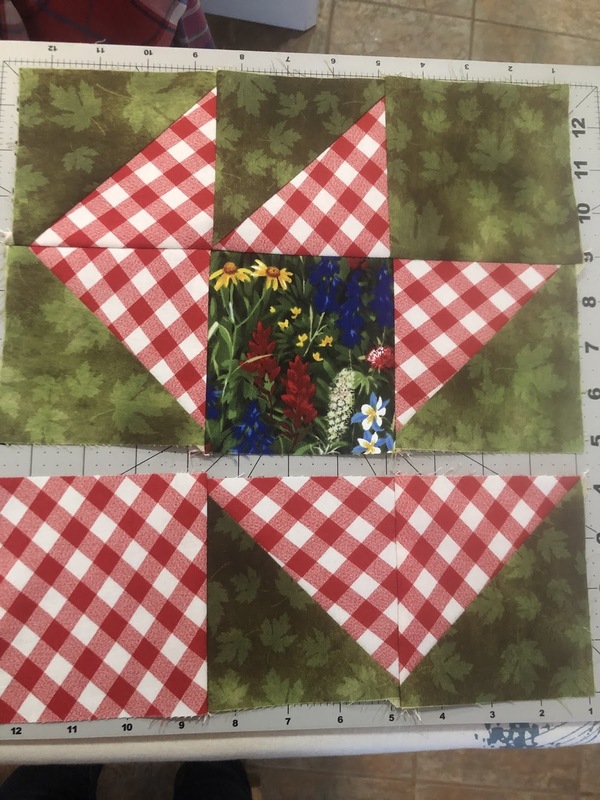 The squares measure 4.5" to finish at 4", and the half square triangles measure a 4" finished block according to the dies. When you sew the half square triangles together to form your squares, use 1/4" seam. 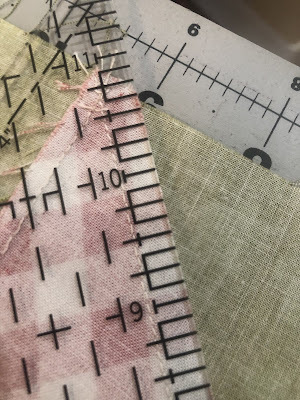 I moved the ruler over a tad to show you the stitch line so you can see it's a full 1/4" seam when sewing the half square triangles together. 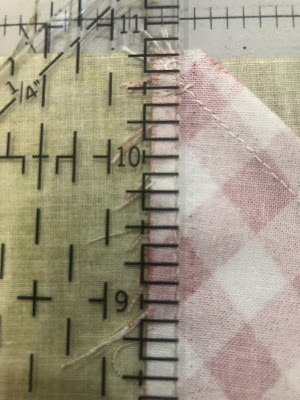 When you sew the rest of the seams in the block, use a hair short of a 1/4" seam. See the picture below to demonstrate. This is often referred to as a SCANT 1/4" SEAM. I had to make this block twice before I figured out my seams were messing me up. Sew across forming the rows, then join the rows together to build the block. Sew Row 1 (top) to Row 2 (middle). I pinned mine to make sure my points and lines matched. Then sew Row 3 (bottom) to Row 2. Be sure to press every seam! This helped me a great deal! I love it! Don't you? 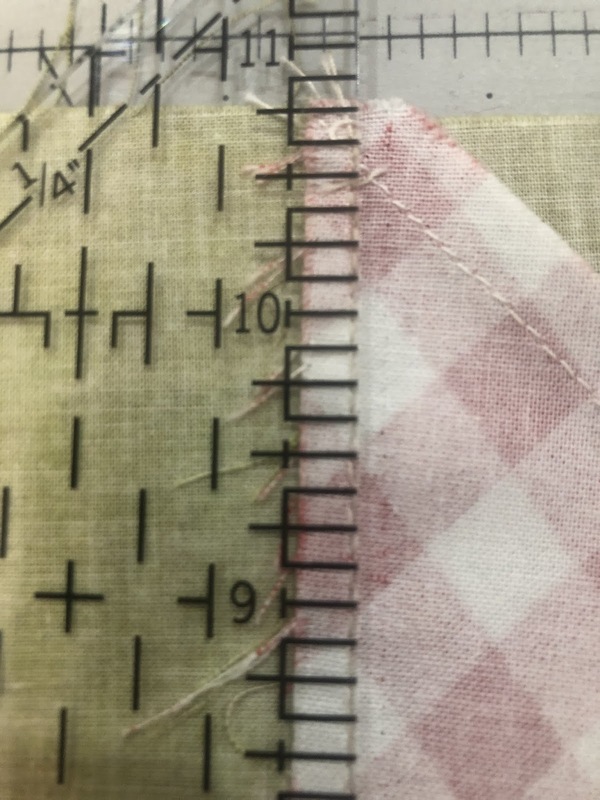 This is a quick block that once cut, the sewing takes about 5 minutes! There's another link that you can use to make this block...Baby Bud Block. 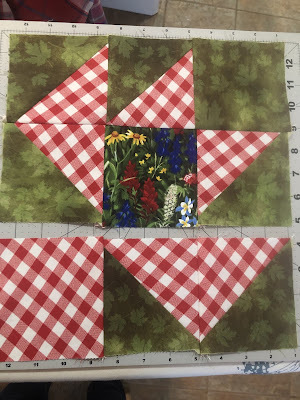 If you don't have an AccuQuilt fabric cutter, this website has detailed instructions on how to make this same block. It also has more pictures of blocks that other people have made. but I can attach this link! I'm seriously thinking of making 4 of these and adding them as my corners in the direction of "out" or away from the rest of the quilt top. 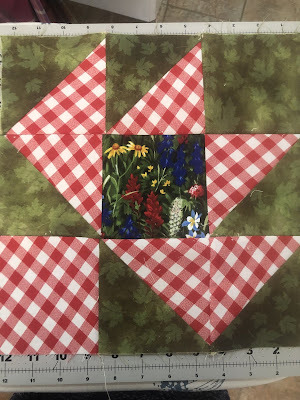 You may want to do 4 and set in the middle or elsewhere in your design when you match up the quilt blocks too! I have two done, two more to go! The sky is the limit! How many will you make? Don't forget to share them with us! Fat Quarter Shop - Tuesday is Twice the Savings!